FORMOSAT-7R is an additional satelite by NSPO added to the joint Tawanaes-US FORMOSAT 7 / COSMIC-2 constellation. NSPO develops a 300 kg calss satellite, labeled FORMOSAT-7R, to carry GNSS-Reflectometry payload, four key components including On-Board Computer (OBC), Power Control Unit (PCU), GPS Receiver (GPSR), and Fiber Optic Gyro (FOG), as well as Reaction Control System Demonstration Module (RCS-DM). FORMOSAT-7R serves as a platform to qualify components and to explore the advanced scientific application. The data, collected by GNSS-R can be used to calculate the wind speed over sea surface, will impact the typhoon prediction positively. FORMOSAT-7R satellite is designed to resemble its counterpart of the FORMOSAT-7 mission satellite in order to achieve maximum compatibility for launch and mission operations. However, the electrical architecture, key components, flight software, satellite structures and payload instruments are entirely designed and developed by the NSPO. FORMOSAT-7R was originally planned to be launched with the now cancelled FORMOSAT 7 / COSMIC-2B cluster in 2020. 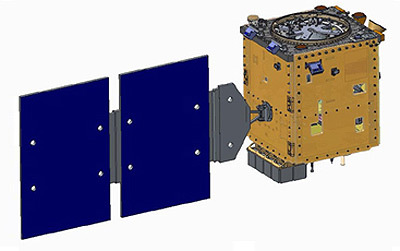 FOMOSAT-7R satellite will be launched by a piggyback launch service of which the selection priority will be determined by the capability to cover major areas of typhoon generation and movement in the West Pacific Ocean. FORMOSAT 7R - 20xx with ?